I really want to like the content library, I really do. But even though you brag about 1.5 million images there are very few I can use. I do a search on businessman, or office workers, and mostly what I get is a bunch of garbage. Try searching for "boss" and here's what you'll see: A woman holding a cup that says "Like a Boss", a gorilla, a dopey man holding a banana, the same woman holding the same cup, a bearded man (who seems to be the only model available since he is everywhere), a lamp, and a pair of shoes, etc. There are 3 pictures of the gorilla on the first page of results. So, he's a boss? I could go on and on. I dare you to find anything useful when looking for pictures of people at work. One of the reasons I bought 360 was with the promise of a huge library of images. But it is almost useless. Hi, Steve. I’m sorry to hear that your initial Content Library searches haven’t uncovered the right image for your project. While I’m not sure exactly what you’re looking for, I wanted to share my process for honing in on the best photos for my courses. I found some assets that might work for you, so hopefully it helps! I usually start with a little word association since one word can mean a lot of different things. Let’s say I need a picture of someone falling for a workplace safety course. If I search “fall,” I end up with lots of images of waterfalls and fall foliage. But if I search for a related term like “safety,” I’m more likely to find something that works. It can also help to think contextually to broaden your image options. Instead of searching for “boss” or “businessman,” I might search for environments or situations where you’d find those types of people. I’ve found that the results of this approach are relevant to my course and also help me convey the right feeling for my content. Also, you may want to check out the characters in Content Library. Both Giana and Al look like they’d be great additions to a business course. I've also tried the contextual searching that Trina mentioned, and that helps somewhat. Even so, I spend more time looking for the right image than I did with another stock library subscription. Is it possible to add a "Refine Search" feature to Content Library, for example by profession (medical, business, casual, etc. ), environment (indoors, outdoors, office, lobby, home, etc. ), topic (safety, leadership, communication, etc. ), or any other categories that may be useful? That's a good suggestion, Sue! I can pass it along to my team as we love hearing new ideas that help make your course creation easier! I have the same experience as Steve. My searches for "meeting", "office", "business casual", "manager", "employee" , "professional" give me such poor results I feel that the Content Library is simply not intended or designed for people creating training for the typical, modern corporation. I need images of people working in an office, having meetings, talking together, on a variety of computers (not just apple); not in a coffee shop, or walking in an alley, or with only part of their body showing (I will crop the image if I need to). I need images that reflect things that happen in actual offices such as interviews, 1x1 conversations, talking on a business phone, hallway conversations, chatting in a break room, greeting someone in an office, etc. I need images of people in business casual dress. Of typical offices, with cubes and offices that don't look like a loft in New York designed by a high end interior designer. I have yet to find an image of a man in a polo shirt simply smiling, facing forward with a generic office background (or at least an ambiguous indoor background). 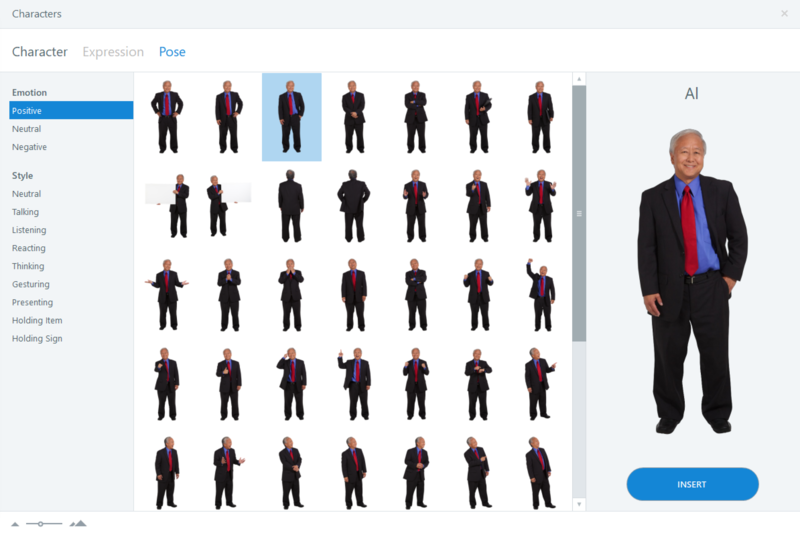 I find it troubling that the designers of the content library were so deeply out of touch with what happens in business today and the images we would need in order for this to actually be useful. It is rare that I find a great image that applies to extremely basic needs I have for a project. Today Arlyn did a webcast where he searched for oranges in the Content Library. I was stunned at how many images there are of oranges, and yet, I cannot find a single good image of an employee working late in an office. Lastly, the hipster male model in the suit with the long beard seems to be the main representation for business images, and that guy is not remotely close to what I could use for any corporate organization I have ever created training for. I need images of employees who represent the individuals in the organization or the people I am training. I cannot imagine why this model was used for more than one or two photos. It's a highly specific look that fits very few businesses and yet he is in the majority of images I find, thus, rendering them useless. 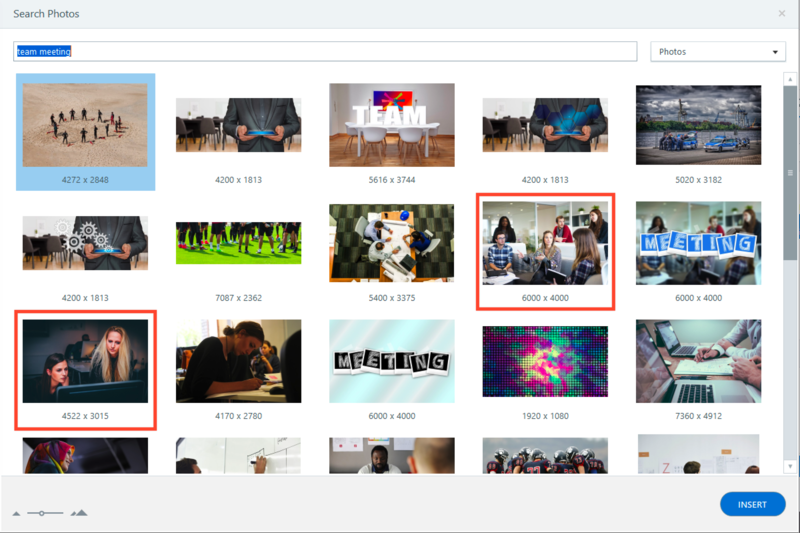 I found that If I do a Google search for "free images" I see all the same images that are in the Content Library. 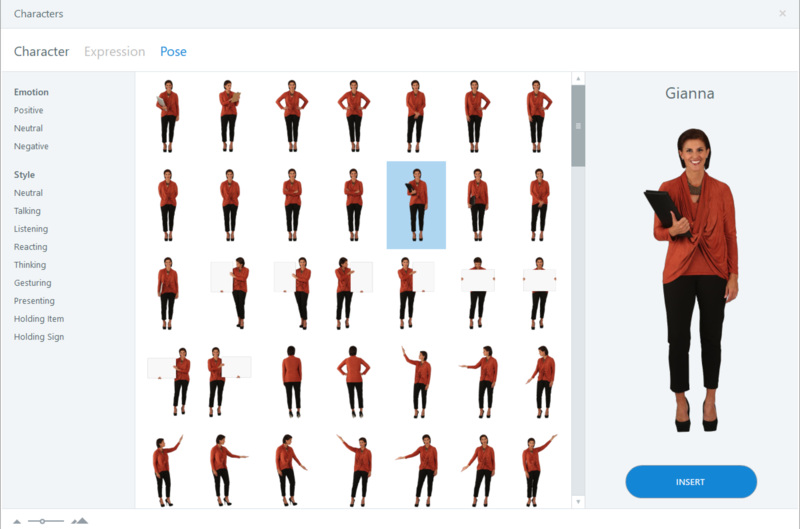 It looks like Articulate just used free images that were already out there. We are paying a LOT for a subscription to Storyline. One of the BIG reasons was to get something that I couldn't get any other way. I might as well own Storyline and then subscribe to Thinkstock for a month when I need it. I get much better pictures, and in the long run would be cheaper. The meta-data is almost non-existent. I should be able to search for businessman and get actual pictures of a businessman. And if I do stumble on a picture that might be useful it would be nice to have a button for "similar images". And what IS the deal about cropping heads off? I would love to do my own cropping. I also wonder what these images are doing to the size of my file. I like to crop and compress files to keep my .story files small. Please get rid of the bearded businessman. Really? He is ridiculous. "Hi, Steve. I’m sorry to hear that your initial Content Library sear..."
"I found that If I do a Google search for "free images" I see all th..."
"I have the same experience as Steve. My searches for "meeting", "of..."